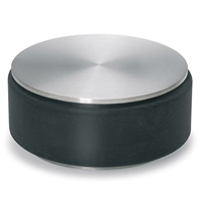 Stainless steel, heavy duty doorstop that will even hold open the heaviest of fire doors. 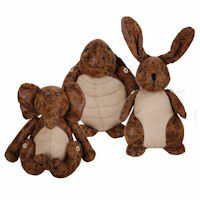 Gorgeous animal-shaped door stops in aged leather with 6 animals to choose from. These weighty bean-filled door stops offer great value for money and make a great idea for children's rooms. 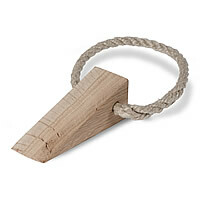 Raw oak door wedge that can be hung on the door handle when not being used. 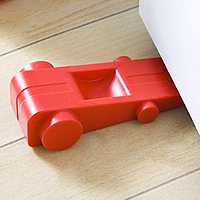 Fun door stop in the shape of a racing car to park under your door frame. Available in black, red and green.